This 2015 Rioja harvest will be remembered because of its earliness; started in early September and it was finished a few days before October the 12th. 2015 harvest has given us high quality grapes where vineyards from coldest areas and with lower yieldings stood out. It can be stated that both sanitary and vegetative states have been excellent due to a very favourable climatic conditions during ripeness period with lack of plagues and diseases. The vineyards from coldest áreas and controlled vigour have given grapes with a perfect ripeness, with sugar levels higher than average years, soft and silky tannins along with small sized grapes, very convenient for producing quality wines. – The First was planted in 1921, in goblet training. Altitude: 535 m. Calcareous clay soil with gravel. South-west orientation. Atlantic climate with Mediterranean influence. – The Second was planted in 1976 in goblet training. Altitude: 535 m. Orientation: Southwest. Microclimate: Atlantic with Mediterranean influence. – One in Briones (La Rioja Alta) Planted in 1975, in goblet training. Altitude: 555 m. Soils:stony calcareous clay. Orientation: south-east. Microclimate: Atlantic with Mediterranean influence. – And the fourth in Tudelilla. Planted in 1965, in goblet training. Altitude: 540 m. Soil: calcareous clay with crushed stone. Orientation: north-east. Microclimate: Atlantic. • Graciano (111%). The vineyard is located in Rioja Baja, planted in 1996. Altitude: 345 m. Soils: stony limestone soil with very poor gravel substrate. East-west orientation. Very Mediterranean climate. 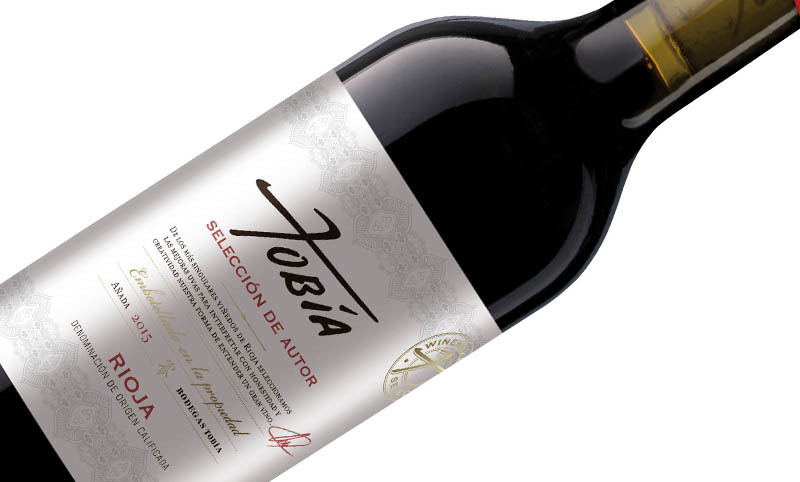 • Garnacha (9%) comes from a vineyard located in Tudelilla, planted in 1930. Soil filled with gravel and stones. Orientation; south-east. Altitude: 530 m. Microclimate: Atlantic with Mediterranean influence. • Whole berry cold maceration is carried out after destemming at controlled temperature during 3 days. • Fermentation is carried out into “smart tanks” at a controlled temperature. • Malolactic fermentation took place in oak barrel. • Aged for 18 months in the same French and American oak barrel. • Bottled without filtration so as to respect the quality of the wine. • Total production: 100,800 bottles of 75 cl. Brilliant and clear aspect. Cherry red colour with intense burgundy trims. Complex, intense and clean aroma. Firstly, black fruits (raisins prunes, blackberries) come up, blended with notes of spices like black pepper and nutmeg Over a backdrop of aromatic herbs like eucaliptus. The palate is gentle, velvety, and voluminous with an integrating fresheness. It is structured, satiny and round, with good persistence and lengh. Ripe fruit and minty notes in the aftertaste. Vivid and polished tannins. Ripe frutis and chocolate atertaste.